The 48" Round Footed Pedestal Table with extensions and pedestal base. The pedestal base has round ball turnings and four extending feet. This table comes with two 15" center extensions that extend the table to 78" long. The 48" Round Footed Pedestal Table is a the perfect dining table for a family of 4. When guests arrive the table can be expanded with the (2) leaves to seat up to 8 guests. 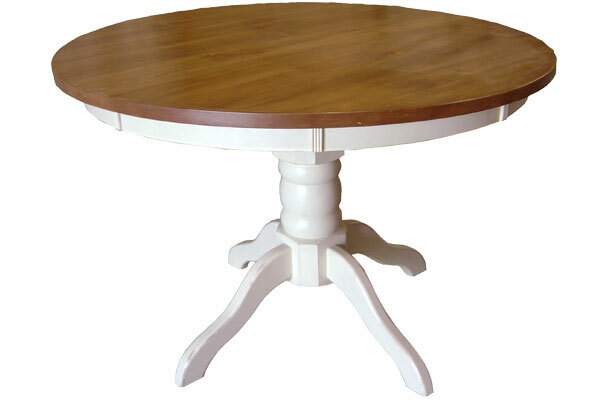 It's a beloved classic round dining table for providing lots of flexible seating without the impediment of legs. 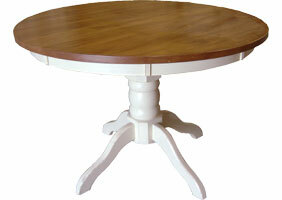 The round pedestal table with extensions is made of solid wood. The top is made from solid wood board planks, and framed by a generous apron skirt. The sturdy top is stained to highlight the natural grain and beauty of wood. The hardwood turned pedestal with contoured feet can be painted or stained to bring out the character of the round turnings. 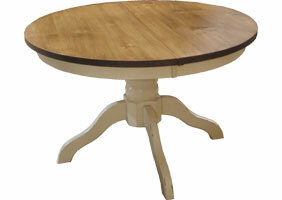 The round table is perfect for a kitchen table or dining area with room for expansion. The table can extend from 48" round to an 63" oval with one leaf, and 78" oval with two leaves. 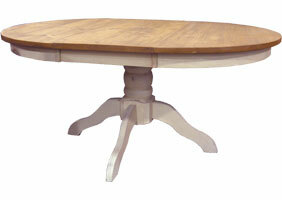 The 48" Round Footed Pedestal Table is intended for daily use, and will gain character with years of wear. Every top is water-sealed and waxed to prevent water rings, and for everyday use. All top are easy soap and water clean-up. 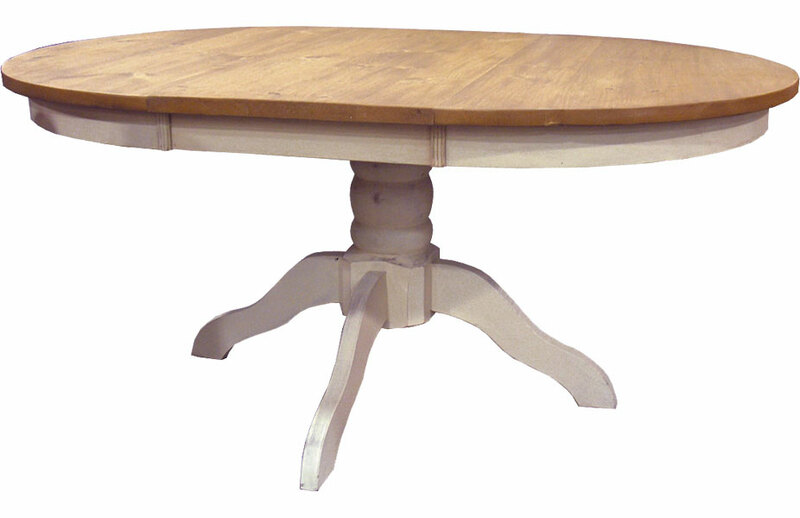 The round pedestal dining table has a thick 1 1/4" top with a variety of top styles; "Stained Pine" new pine wood, "Vintage Wood" reclaimed barnwood tops, "Hand-Planed" new pine planed and distressed, and "Birch" solid hardwood. 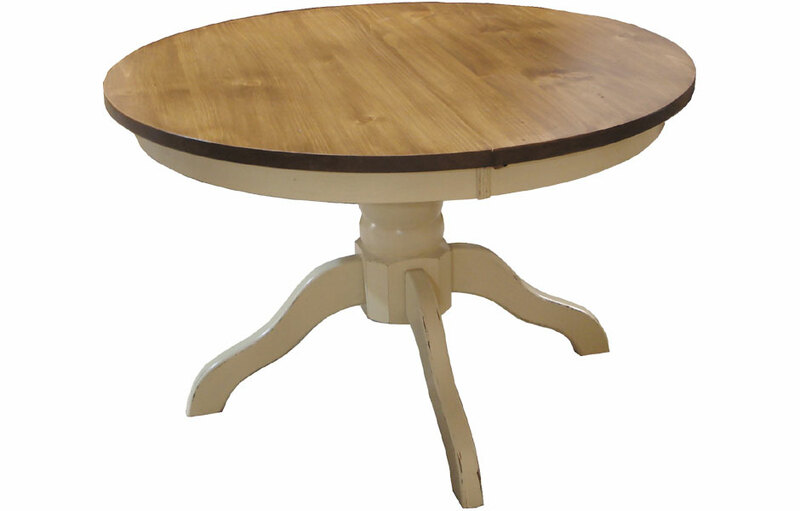 The French Country Round Pedestal Table with Extensions can be finished in any of our paints and or stain finishes for an elegant traditional, cottage or rustic style.